It’s easy to take the world for granted. 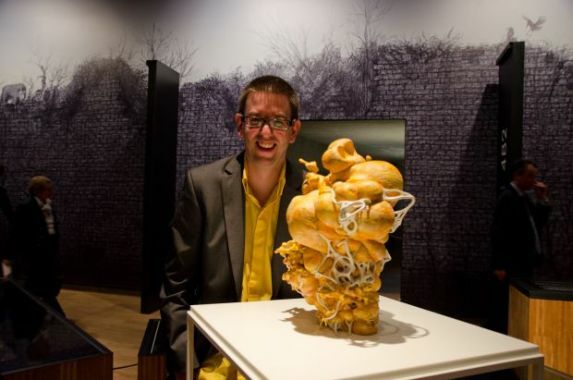 Using 3D Printing as just one of his many tools, artist Nick Ervinck creates pieces that challenge people to take a fresh look at the world around them. Nick Ervinck, a rising star in the art world, masterfully explores the borders between various media and tries to find an interaction between virtual constructions and hand-made sculptures. Through his sculptures, videos, prints and digital drawings, he creates fantastic new realities which challenge viewers to take a fresh look at the world around them. One medium that Ervinck has employed with great skill is 3D Printing, and for some of his most intricate printed creations, he turns to the experts at Materialise to help him bring his visions to life. 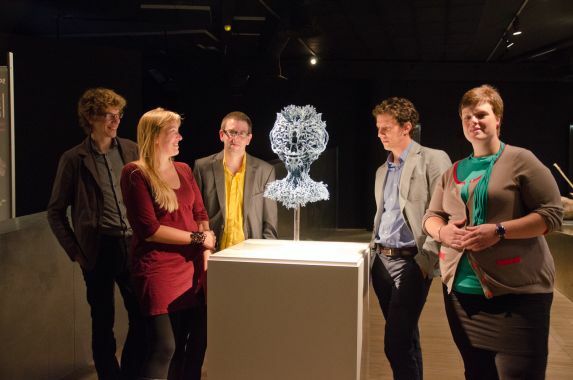 Nick Ervinck’s collaboration with Materialise began in 2008 with the sculpture GNIURKS_S. Since then, Ervinck has been pushing the boundaries of 3D Printing and challenging the company’s engineers with his intricate designs. In 2009, his sculpture, IKRAUSIM, took part in the Fantastic illusions exhibition in the Museum of Contemporary Art in Shanghai, China. In addition to the sculpture, visitors to the exhibition could view an animation that travelled through the piece, the effect of which drew people even further into Nick Ervinck’s complex, exciting world. In 2009, Ervinck also worked with Materialise to create YARONULK, a stunning model of the National Basilica of the Sacred Heart in Koekelberg in Brussels. 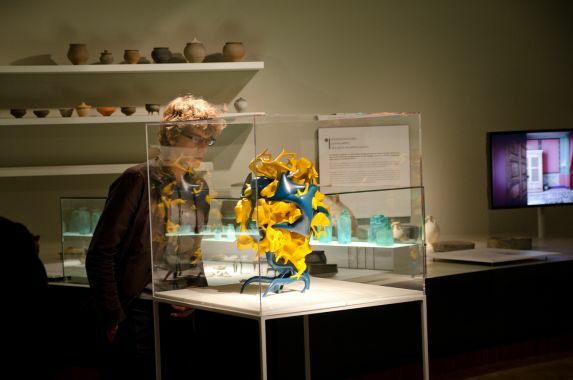 The sculpture took part in the exhibition New Monuments in Antwerp’s Middleheim Museum. Although the replica is more than 100X smaller than the life-size basilica, the entire reconstruction was a grand task in itself. The rusty-colored exterior frame was made with laser sintering, and the interior yellow tent was made using Materialise”s Mammoth stereolithography. Completed in just one month, the YARONULK 2009-2010 is an intricate, spellbinding sculpture that would have taken months to finish using another technology. In September, 2012, the historic city center of Belgium’s oldest town, Tongeren, saw the unveiling of a new sculpture by Ervinck. The sculpture is inspired by the town’s most celebrated statue (the Jupiter Giant) and enjoys a prominent position in front of the Gallo-Romeins Museum, one of the most important archaeological museums in Europe. In celebration, the museum is currently holding a solo exhibition of Nick Ervinck’s works, The 9th Month (De 9de Maand), which includes several pieces 3D printed here at Materialise (NIKEYSWODA, SNIBURTAD, SIUMET, RACHT, LUIZAERC, BORTOBY and KOLEKNAT). The exhibition runs from September 15th, 2012 - January 6th, 2013.